Platinum is appropriately described as Deluxe Independent Floors. Because of the rich specifications and permanent exterior finishing, adroitly spacious and comfortable interiors which are indeed class apart. All this at prices that are most affordable. At the most coveted address-ARDEE CITY. With a saleable area of 1660 sq.ft, these 4 bedroom premium units are housed in low-rise buildings that are 4 to 7 storey high with separate dedicated elevators in each building. 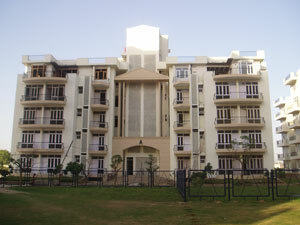 The residents have access to all modern amenities. 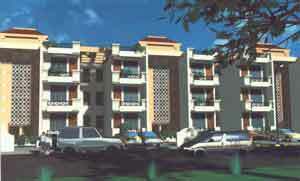 Encompassing meticulous planning, these beautifully designed units offer the resident complete peace of mind. The Meadows Independent Villas Are designed on a grand line to suit your life-style. Spacious rooms that extend in their hushed splendor. 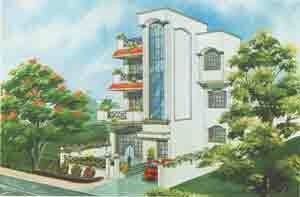 A silent presence of aesthetic grandeur in the architectural composition. Amenities that touch the level of luxury. The Meadows Independent Villas have been conceived and designed as expandable homes. Skylark Independent Villas are thoughtfully designed to make a fine habitat. Sprawling rooms laid out with an accent on spaciousness. The architecture reflecting contemporary aesthetics. All the amenities that define modern living. Every Skylark Independent Villa is designed in a manner that when tomorrow your requirement increases, you can expand your home with additional construction. you can add another floor or build more rooms on the same floor. 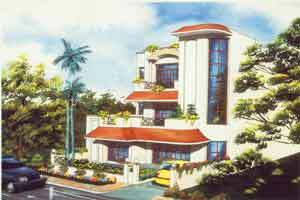 Park Royale Villas have been designed for a new living experience. Thoughtfully planned floor-layout, modern amenities and permanent exterior finish with an accent on aesthetics set them class apart. a fine habitat at a price that suits your budget. At the emerald township-Ardee City.